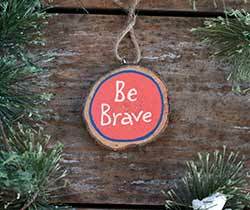 Be Brave Wood Slice Ornament, by Our Backyard Studios in Mill Creek, WA. 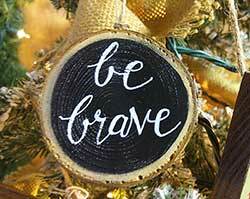 We have cut, dried, sliced, sanded, painted, and sealed these wood slice ornaments right here in Washington State. 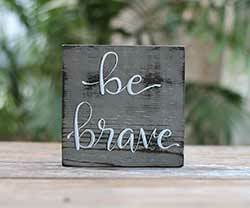 Reads: "Be Brave" in cream lettering against a coral pink background and peacock blue border. 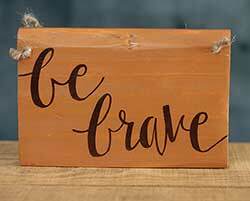 Reads "Be brave" with freehand-lettering in white against a black background. 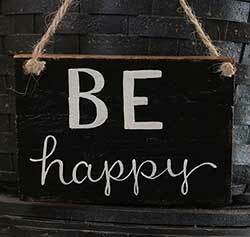 Add a inspirational touch to most any room with this hand lettered, distressed wood "Be Happy" sign! 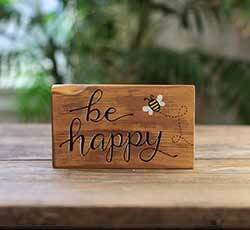 We amp up the charm here with a little hand painted bee illustration. 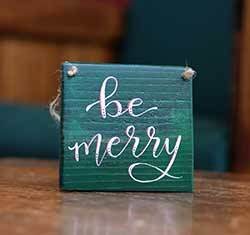 A simple little reminder to be happy, small enough to go in an office, small wall space, dorm room, or the center of a wreath, etc. 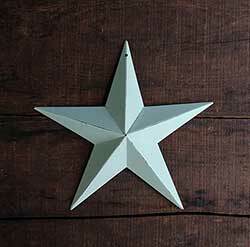 Our mini stick shelf sitters are great for adding a little charm to just about any room in your house. 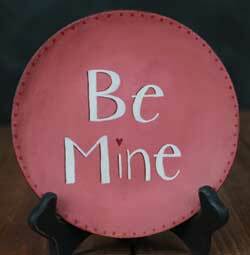 Hand painted to order. 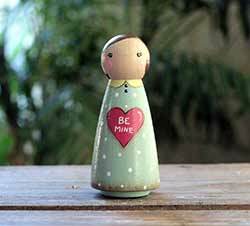 This mini stick shelf sitter is accented with tiny hearts, and reads Be mine. Hand painted to order. 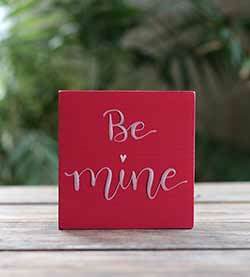 Add instant Valentine charm to your home with this hand lettered shelf sitter! 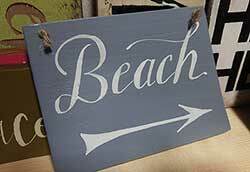 Hand painted to order. 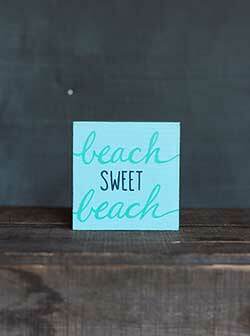 This made-to-order sign features free-hand lettering, in the custom color of your choice! 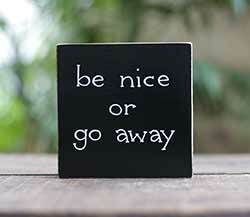 This one reads: Be Nice or Go Away. 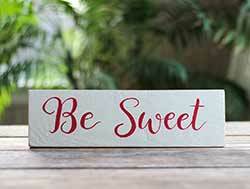 Don't settle for anything less than polite, good manners with this little sign. 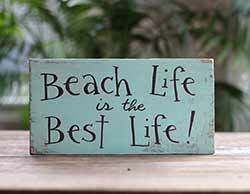 Custom painted to order in your choice of color. 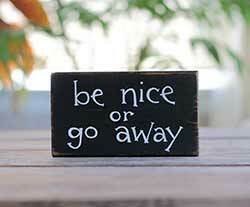 Perfect for a workplace, office, or home, this funny little sign will get a laugh but also make a good point! 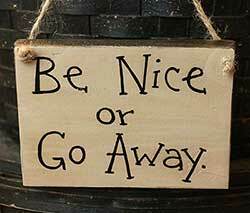 Be Nice or Go Away Custom Wood Sign, hand painted to order! 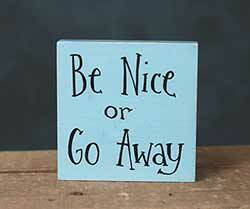 Say it plainly with this little sign - Be nice or go away! 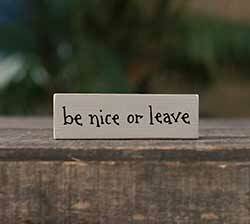 Sometimes it is as simple as that. 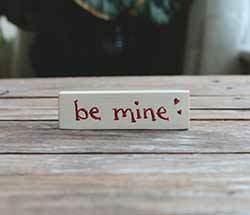 Custom painted just for you! 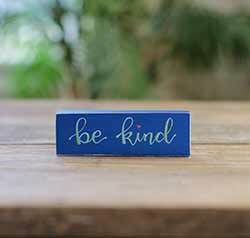 This mini stick humorously reads "Be nice or leave." 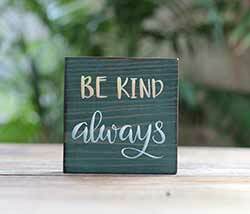 Custom painted to order in your choice of color. 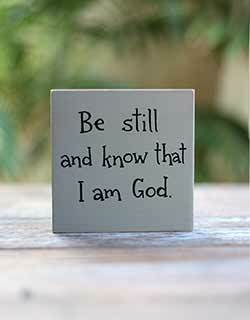 Perfect for a shelf, office desk, or wall space, this shelf sitter sign will give inspiration and encouragement. 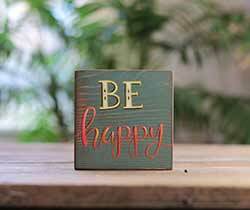 Custom painted to order in your choice of color. 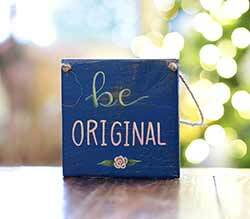 Featuring an excerpt from the bible verse Psalm 46:10, this pretty hand lettered sign makes an inspirational statement in your farmhouse or vintage cottage style home. 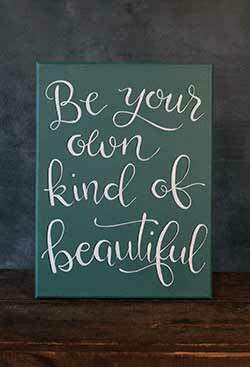 Features modern hand lettered calligraphy and crisp color palette of grey and white. 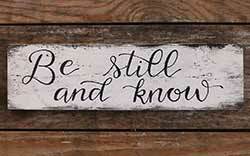 Custom painted in your choice of color, this Be Still and Know wood sign is a perfect piece of inspirational wall decor for your country farmhouse style home! 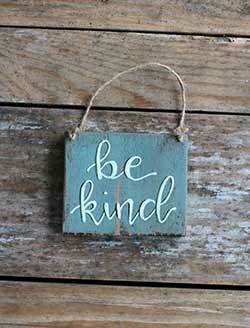 Set an inspirational tone to a room with this wood sign, lettered by hand the old fashioned way! 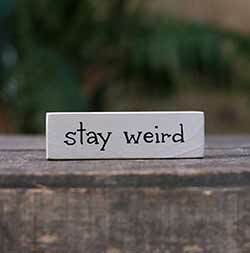 This mini stick shelf sitter humorously reads: Stay Weird. 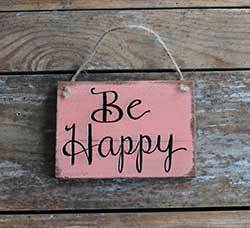 Hand painted to order. 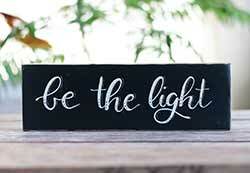 Inspirational typography decor for your home, office, or gift giving! 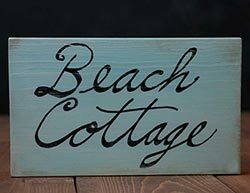 Features freehand brush lettering, and is hand painted to order. 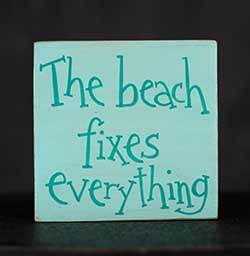 Great for that beach bunny you know and love! 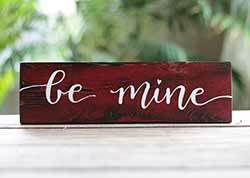 Hand painted to order. 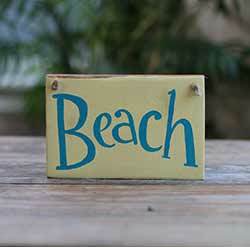 Mentally transport yourself to a tropical getaway with this sign, great for a beach house or ocean-themed room! 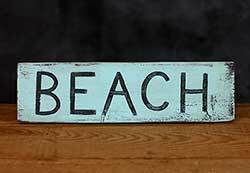 Hand painted to order.